Hi! 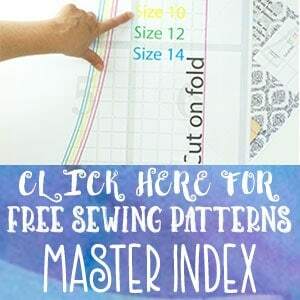 I’m Stephanie and I blog at Swoodson Says about sewing and crafts for myself, my toddler son, and our second baby on the way (and rarely, my husband). I love upcycling, using scraps, and having the freedom to make what I can’t find or afford in stores! 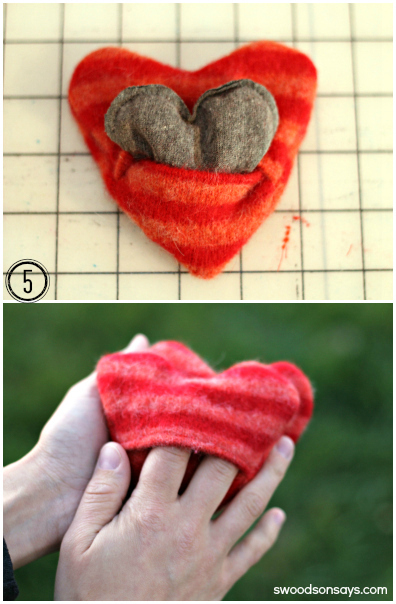 I made a pair of heart hand warmers for myself last winter by simply stitching together two wool hearts but I quickly found that 1. wool smells weird when you microwave it 2. they got filthy fast in the middle of winter! So this set has a separate insert for microwaving, and then you can machine wash the heart-shaped shells. These would be a great stocking stuffer or teacher gift, I think. 1. 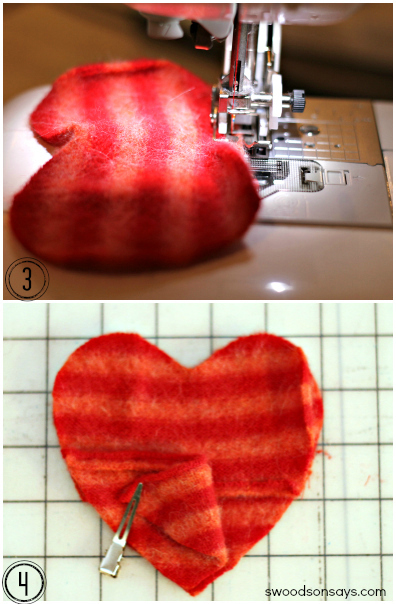 Cut all pattern pieces as directed; layer two knit hearts on top of one another and sew with a 1/4″ seam allowance, leaving a small opening. 2. Use a tiny funnel (can also use a straw or a rolled up paper) and fill with rice. Stitch the opening close, repeat for the second set of hearts. 3. Fold the straight edge of each overlapping piece over 1/4″ and stitch down. 4. Lay the overlapping pieces over one another with the top piece in front, with right sides together, on top of the whole wool heart. 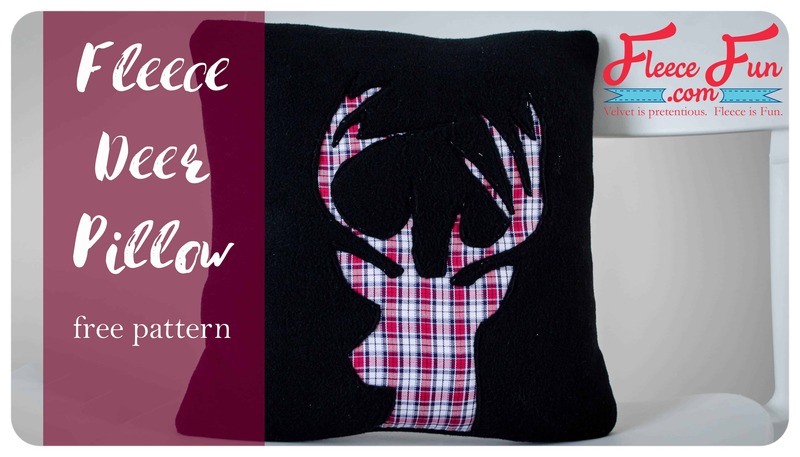 Stitch around all edges with a 3/8″ seam allowance. 5. Flip right side out and squish in your insert! The little envelope opening also provides a super cozy spot to stick your fingers, especially if you’ve had to take your gloves off to text or use your phone. I hope you dig out some old sweaters and sew up a few this winter! I had fun sharing with you today and would love to connect with you; I spend way too much time online – you can find me on pinterest/facebook/instagram. 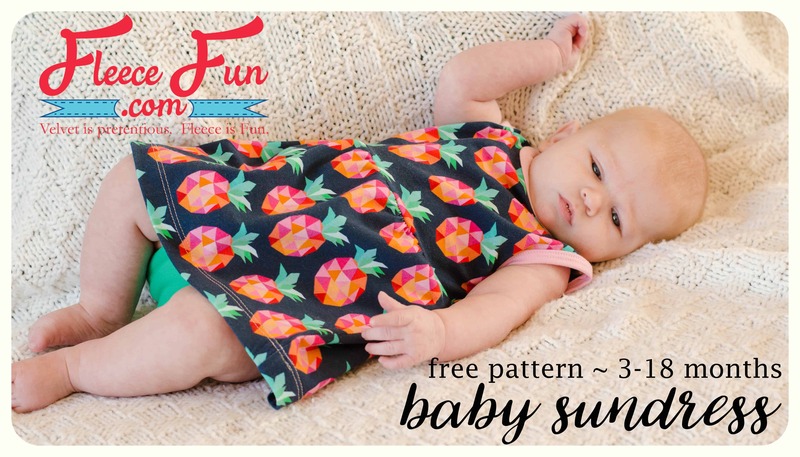 I am working on releasing some fun PDF patterns for toddler toys, softies, and funky decor; be the first to know by subscribing to my newsletter! 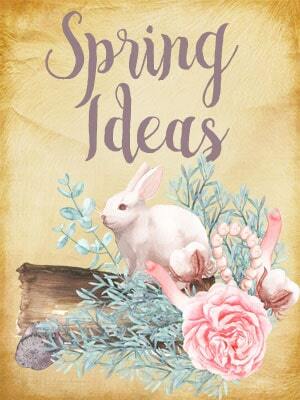 A few free toy tutorials on my blog are a DIY Buckle Toy, an easy Astronaut Dress-Up Hood, & a round-up of favorite kids’ books and free softie patterns. Love that these are upcycled! 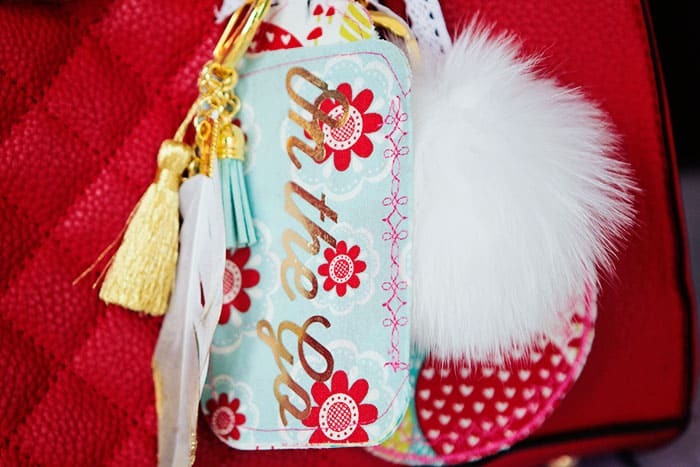 Such a sweet and easy to make gift – thank you for sharing Stephanie! 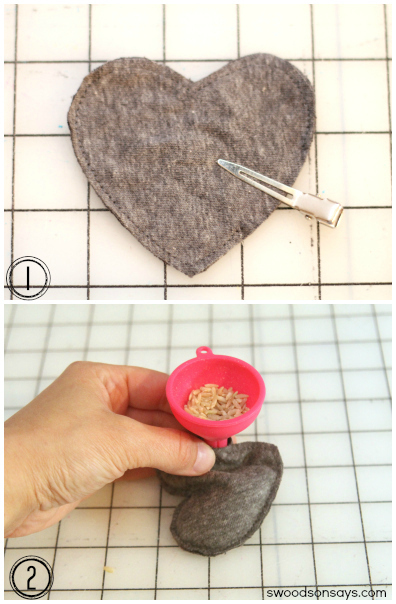 While it doesn’t need to be wool – i strongly recommend that the interior heart (the one with the rice) be a natural fabric (like cotton or jersey knit) as synthetics (like my beloved fleece) can melt in the microwave. I’m CURIOUS AS TO HOW THE RICE MAKES OUT AFTER GOING THROUGH THE WASHER!? 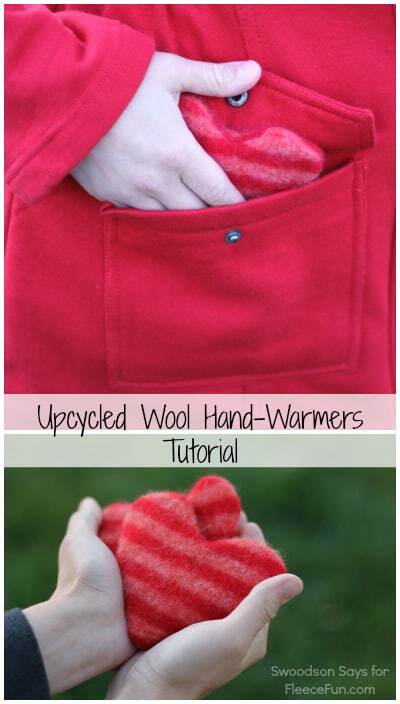 also CAN YOU USE FLEECE INSTEAD OF WOOL? THANKS FOR THE GREAT HEART WARMING IDEA! For how long do I put the handwarmer in the microwave? Microwave tiems can vary – I would start at 15 seconds and see how they are.